Home / Safer Driving / Featured / What if Santa’s sleigh had a black box fitted? Delivering presents to children worldwide is the goal. Santa’s in for a safe drive with Insure The Box. As Santa prepares for his annual trip on 24th December, this year there’s a little black box fitted to his sleigh. This clever little box will help Santa keep his insurance premium affordable (of course Santa would never ride his sleigh uninsured!) by giving him feedback on his sleigh driving. And with children to visit around the globe, he’ll need to earn as many Bonus Miles as possible through excellent driving*. By logging into Santa’s personalised portal, Mr. Claus will be able to check how many miles he has travelled delivering all the Christmas presents and how safe his travels have been. With the black box on board, Santa won’t want to risk hard cornering or losing any presents from the sleigh by speeding around tree tops and chimneys. In the event of a bumpy landing on a snow covered roof or skidding on ice, Accident Alert will ensure the elves will come to the rescue. Following such a misfortune, the telematics data from the clever black box can show the circumstances of the incident allowing Santa’s claim to be processed more efficiently. Santa’s sleigh is a sight to behold and could sadly be a target for theft while his attention’s turned to delivering gifts – thank goodness that clever black box can help track it down so he can accomplish his task before the world awakes on Christmas day. 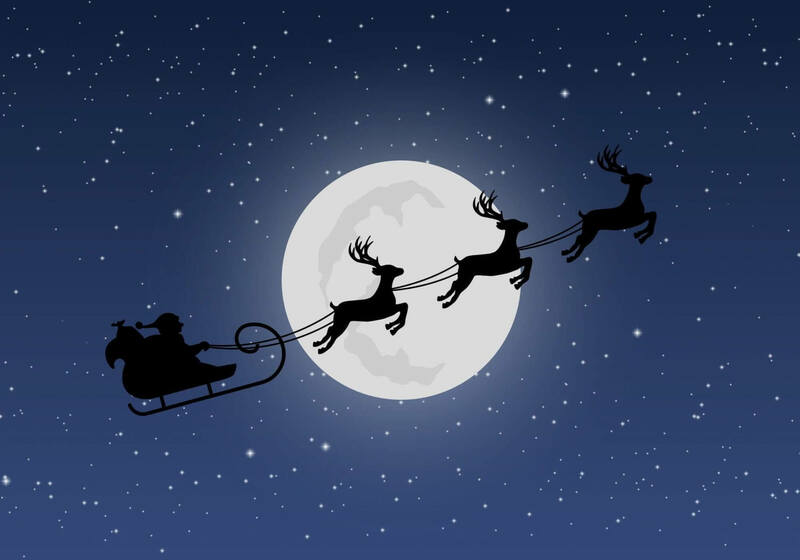 With a whole world to deliver to, Santa can use the extra peace of mind that telematics can bring! Insure The Box is a global pioneer of telematics-based car insurance. It installs a telematics box into a driver’s vehicle at no extra cost and monitors the policyholder’s driving. It offers premiums based on 6000, 8000 or 10000 annual mileage and safer drivers can receive up to 100 free Bonus Miles per month. Each policyholder has their own portal where they can check how many miles they have driven, how many extra miles they have earned and how they could have earned more. *Note: The magic of fairy dust means Santa can keep within appropriate relative speeds while traveling across the world. And delivery-related sherry-drinking is, of course, delegated to Head Elf while Santa is in charge of a vehicle.